Even minor reorganization of an enterprise can come at a price. At the California stem cell agency, rejiggering its financial management generated a $150,000 buyout for the vice president of operations. The payment was made when the position was eliminated and a new financial management structure created, shifting more authority to the office of the chairman of the $3 billion agency and away from CIRM President Alan Trounson. All of which was done this spring, prior to the election of Jonathan Thomas as the new chairman of CIRM. "When the board approved John's appointment in June 2008 (see June 27, 2008 transcript at (pages) 233-243), it included a separation payment of $150,000 if John were terminated without cause within 60 months of his appointment. This separation payment was intended to compensate John for forgoing pension benefits from his former employer to accept the position at CIRM, where his new pension benefits would not vest for 5 years (60 months) As you know, as part of CIRM's recent reorganization, the position of vice president for operations, which John held, was eliminated. Consistent with the terms of John's appointment, CIRM made a separation payment of $150,000 to John." Under the new structure approved in early May, a chief financial officer/director of finance will report to both Thomas and Trounson. Previously, the vice president of operations reported directly to Trounson. The move adds to the controversial dual executive arrangement at CIRM, which State Controller John Chiang, the state's top fiscal officer, has said "severely compromises" oversight at the agency. "The director of finance will be jointly appointed by the president and the chair and will support, and report jointly to, the president and the chair. The president and the chair will be jointly responsible for employment and compensation decisions relating to the director of finance." The new structure also places 12 persons out of 53 paid staff at CIRM partly or totally in the office of the chair. The total includes both the chairman and one of the vice chairs, who are both on salary. A Stanford law professor is predicting that the legal fulminations about federal funding of human embryonic stem cell research will be resolved in 2013 in favor of the NIH. That "best guess" comes from Hank Greely, who has been pondering stem cell legal issues for a number of years. "But my best guess is that, sometime in 2013, the Supreme Court denies cert in this case and this question mark over human embryonic stem cell research funding is ended – though there may certainly be other questions raised between now and then. "It is tempting to say 'all’s well that ends well.' The judiciary seems to be headed to making a decision in this matter that is both (in my view) clearly legally correct and good policy. But those who have suffered from the last 11 months of scrambling, uncertainty, and expense might have a different view. It is one of the costs of our system of government – happily, in this case, so far, not a terribly high cost." The California stem cell agency drew little notice in mainstream media coverage this morning of yesterday's court decision dismissing a challenge to federal funding of hESC research. That was pretty much to be expected given the lateness of the CIRM reaction to the news and was not an auspicious beginning for the "communications war" discussed last month by new CIRM Chairman Jonathan Thomas. CIRM posted a news release with its reaction around midafternoon West Coast time. The first news stories about the decision appeared about six hours earlier. "'We clearly think it's the right decision,'" said Dr. Jonathan Thomas, chairman of the California Institute for Regenerative Medicine, the state's stem cell funding agency. 'It will now lift the cloud that's been hanging over researchers around the country.'" The Associated Press story, most likely the most widely used and read article across the country, contained no mention of CIRM. It appeared on the San Francisco Chronicle, San Jose Mercury News and San Diego Union-Tribune web sites. At The Sacramento Bee, which also carried the AP story, readers searching on the term "stem cell lawsuit" would have additionally seen a press release on PR Newswire from the Family Research Council, which is no friend of hESC research or CIRM. The public relations news service delivers press releases to many news sites around the country. The California stem cell agency this afternoon weighed in with a reaction to dismissal of the lawsuit against federal funding of hESC research, using the opportunity to promote the different situation in California. "The field of stem cell research depends on a stable source of funding, such as CIRM provides in California. Young scientists uncertain about future funding might opt to work in areas other than stem cell science, which could slow progress toward new cures. This ruling is a positive step, but with the possibility that the case might be appealed, a predictable source of state and private funding continues to be essential." "California scientists have been able to carry on with research toward therapies for HIV/AIDS, diabetes, sickle cell disease and spinal cord injury, among others, without worrying about disruptions in their funding. With federal dollars available these scientists can leverage results from CIRM grants to get additional federal capital and can tap into potential collaborators in other states who bring expertise that could speed progress toward stem cell-based therapies." Stability and potential leveraging are the two themes Trounson and Thomas hit – something that CIRM has tried to sell for some time. The news release was a bit late for East Coast daily newspaper deadlines and much too late to be included in the initial news reports, but it could pick up some traffic on the Internet. Whether it makes any stories in California news outlets will have to be determined later. California stem cell researcher Paul Knoepfler today published a piece in Nature about his nearly two years as a stem cell blogger – a period that included a bout with both cancer and "negative feedback," including insistence that he shut down his blog. 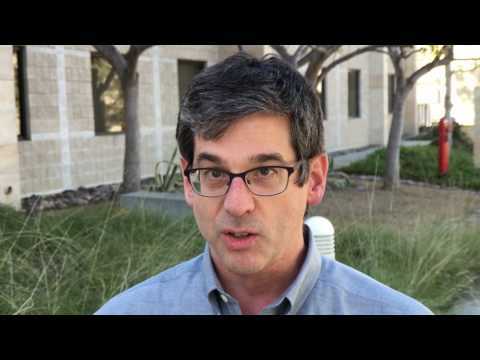 Knoepfler is an associate professor at the School of Medicine at UC Davis. He may well be the only stem-cell faculty scientist in the world who produces a regularly updated blog on stem cell issues. Knoepfler writes on subjects ranging from basic science and public policy to peer review and stem cell tourism. He also brings a patient advocate point of view to the subject, which has troubled some researchers. 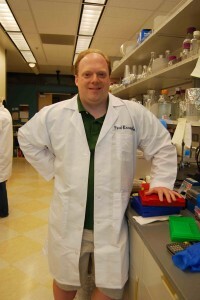 In his Nature piece, Knoepfler offers tips to beginngers and seeks out other stem cell researchers who may be bloggers. "Why is this? Other scientists in academia tell me they worry that blogging would damage their careers. Specifically, they fear that colleagues would view them as amateurs, 'wasting time' on blogging, which could reduce their chances of achieving tenure. They fear the wrath of others in the field should they post the 'wrong' thing on their blog, and they worry about payback in negative grant and paper reviews. Some are concerned about attracting unruly and insulting readers' comments." "There has been some negative feedback, usually expressed privately rather than on the blog itself. Some critics cautioned that I might anger 'the wrong people' in academia or at funding agencies. Others were more direct with their disapproval of some of my most popular posts — usually those that mentioned specific funding agencies or companies by name — with the implied threat that I would see papers or grant applications rejected. Some who disliked my outspokenness insisted I shut down the blog. But don't let this put you off — the threats came from a very small number of people and have (so far) been toothless. My lab is fine in terms of funding and publishing, and I recently got tenure." "Savvy scientists must increasingly engage with blogs and social media. A new generation of young researchers has grown up with an ever-present Internet. Publishers have been quicker than academics to react to this new world, but scientists must catch up. Even if you choose not to blog, you can certainly expect that your papers and ideas will increasingly be blogged about. So there it is — blog or be blogged. " Our take: Knoepfler produces a useful and interesting blog. It is a credit to the field and to UC Davis. Ultimately, it and hopefully others like it will help to create greater understanding of some of the issues involved in stem cell research. A lawsuit aimed at stifling federal funding for human embryonic stem cell research was dismissed today, but it was not immediately clear whether the decision would be appealed. The dismissal by Judge Royce Lambreth received widespread attention from the mainstream meda and was heralded by researchers and stem cell advocates. One opponent, the Family Research Council noted, however, in a blog item by David Prentice that the debate on the legal question and issue is far from over. From Washington, D.C., also came word that Reps. Diana DeGette, D-Col., and Charlie Dent, R-Pa., will continue to push their federal legislation to ensure that federal funding of hESC research would continue to be permitted. Julian Pecquet wrote on thehill.com that DeGette said her legislation is "vital as ever." "The appeals court in April said that, given the ambiguity of the word "research" in the text of the amendment, which prohibits government funding for "research in which a human embryo or embryos are destroyed", the NIH was "reasonable" in concluding that it could fund research using cell lines derived from embryos (which are destroyed in the process) as long as it does not fund the derivation itself. "Today, Lamberth wrote: 'While it may be true that by following the Court of Appeals’ conclusion as to the ambiguity of 'research,' this Court has become a grudging partner in a bout of 'linguistic jujitsu,' such is life for a [lower] court.'" "In fiscal 2010, NIH spent about $200 million to fund more than 200 human-embryo research grants, the Justice Department and the institutes’ director, Francis Collins, said in court papers....The U.S. allowed 37 embryonic stem-cell lines for taxpayer- funded research in June, the most of any month this year, according to the NIH. The total number of U.S.-endorsed lines now stands at 128." board. The occasion was the swearing-in of Thomas. One of the stalwart veterans of the $3 billion California stem cell agency is leaving in September after nearly seven years in the trenches. Melissa King, executive director of the CIRM governing board, will depart CIRM for the MBA program at Stanford University. King has been with CIRM since shortly after the 2004 election in which voters created the agency by approving Prop. 71. King also worked in the campaign for the ballot initiative, dealing with endorsements and media relations, among other things. During her tenure at CIRM, she was a key figure in making sure board affairs ran smoothly. While she was visible at the 29-member board's public meetings, much of what she did is what I call "invisible work." That's the type of work whose value is only fully realized when it disappears. Based on our observations over the past seven years, she is smart, well-grounded and hard-working. Sometimes, board members would comment on the extremely late hours she kept as she emailed material to them for upcoming board meetings. King's last board meeting will be Aug. 24. CIRM is now seeking to find a replacement. The headline in The Sacramento Bee this morning read "Why raise taxes when officials squander our money?" And prominently mentioned was the California stem cell research agency and the $400,000 salary of its new chairman. The opinion piece was written by Dan Walters, The Bee's longtime time political columnist, whose articles are reprinted in many other newspapers around the state. "It's a valid debate to have, but voters' instinctive reluctance to pay more taxes is bolstered by a steady stream of incidents implying that the taxes they already pay are often wasted. "Take, for example, what occurred as California State University system trustees raised student fees due to budget cuts. Simultaneously, they approved a $400,000 salary for the new president of San Diego State University, $100,000 higher than his predecessor. "Brown publicly castigated the trustees. 'At a time when the state is closing its courts, laying off public school teachers and shutting senior centers, it is not right to be raising the salaries of leaders who – of necessity – must demand sacrifice from everyone else,' Brown said. "But Brown didn't utter a peep when the board that oversees a $3 billion stem cell research bond issue decided to pay its new Brown-appointed chairman – ironically – $400,000. "So much for demanding sacrifice." "We can't solve our basic fiscal problems by just rooting out waste. But when officials squander our money, they undercut their own efforts to persuade voters to give them even more to spend." Walters cited two other examples in addition to the stem cell agency. One involved the high speed rail project and the other state prisons. Again, the point about all this is not the specifics on CIRM salaries but the environment in which the agency is operating. Concern about waste and/or excessive public sector salaries is not going to vanish, and the agency must deal with it if it is going to be successful in asking voters to approve another multibillion bond measure to continue its existence. Robert Klein, left, at his last meeting as chairman of CIRM. chairman Jonathan Thomas on right. Bob Klein, who has spent the last six-and-half years as chairman of the $3 billion California stem cell agency, is now officially chairman emeritus. "The role of the chair emeritus is to be determined. If he volunteers for a special project for CIRM in the future, the agency would probably cover his expenses, again TBD(to be determined) on a case-by-case basis." Gibbons said Klein traveled last month at CIRM expense to the BIO convention in Washington, D.C., with newly elected CIRM Chairman Jonathan Thomas "to make introductions and hand off his connections." Klein, a real estate investment banker, served most of his term without seeking compensation. In December 2008, the board authorized a $150,000, half-time salary. Klein stopped drawing that salary on Dec. 17, 2010, and served until June 23 without a salary. Gibbons said Klein received no severance or final payment. The Institute of Medicine has set an Aug. 5 deadline for submitting nominations for the 14-member panel that will evaluate the performance of the $3 billion California stem cell agency. In its formal announcement(see below), the institute said it is seeking "expertise in (but not limited to) stem cell research, developmental biology, bioethics, research administration, financial structures for biomedical research, program evaluation, economics and finance, business administration, and intellectual property." The purpose of the $700,000, 17-month inquiry is to determine whether CIRM is "functioning at peak performance" and to develop recommendations for short- and long-term actions to improve its activities. We asked the IOM study director, Adrienne Stith Butler, to clarify some of the language in the formal request for nominations. She replied, "Service is not limited to those working for government agencies (the last paragraph is intended to take care of confusion that has come up in the past about government employees serving on IOM/NAS(National Academies of Science) committees). Anyone can be nominated if there is no conflict of interest. Generally speaking, employees/board members from the sponsor have a conflict of interest." Nominations, which can also come from any person, should include a description of the nominee's expertise and contact information. They should be emailed toStith Butler at Astith@nas.edu. Here is the IOM request for nominations, which was sent yesterday to 35 organizations or associations. It was also circulated to the IOM and NAS membership. An Australian nanomedicine center announced this spring that CIRM President Alan Trounson would be spending all of July 2012 as a visiting professor; however, that arrangement appears to be less than certain. We queried CIRM about the announcement, asking how much Trounson, who earns $490,000 as president of the stem cell agency, would be paid as a visiting professor in Australia, the source of the compensation and whether the compensation was vetted for possible conflicts of interest. "Whether this happens is still under discussion, but if it does it is most likely one or two weeks, and would focus on nanotechnology and how it might impact the stem cell field, and what we should be doing about it in California." The headline on the op-ed article in the San Jose Mercury News read "Old Boss or New Boss, state stem cell agency still a bust." "...Californians do not get what they pay for....CIRM's own scientists acknowledge that no CIRM-produced cures have trickled down to California patients." Billingsley also focused on salaries at CIRM, including that of the new chairman, CIRM President Alan Trounson and co-vice chairman Art Torres. "Voters' expectations are certainly an important measure in assessing the stem-cell agency. At this point, I suspect most voters would not say that their expectations have been fulfilled." "I think this opinion piece is a bust. It is full of misleading information and bends everything to fit the extreme agenda beneath the surface. CIRM has done an enormous amount of good and as a stem cell scientist I am confident that new treatments and cures will be created via CIRM." This week's hooha over high government salaries, including a couple at the California stem cell agency, has found Gov. Jerry Brown delicately ducking any role in the $400,000 part-time salary for the new chairman of CIRM. The flap has implications for the future of the California stem cell agency. It has triggered public comments ranging from extreme indignation to a cynical, shoulder-shrugging "what's new" reaction. It also found the governor deploring a $400,000 salary at one California state institution but declining to do so in the case of CIRM. Instead he basically said the CIRM board has to take the heat for the $400,000 salary for its new chairman, Jonathan Thomas, who was nominated by Brown for the job. On July 7, the Los Angeles Times editorialized that the salary could doom the $3 billion stem cell agency to extinction. It reasoned that the compensation matter is almost certain to be a significant and negative issue in an election on the proposed $3 billion to $5 billion bond measure that CIRM needs to continue its operations beyond 2017 or so. The governor amplified the salary controversy earlier this week when he opposed the $400,000 deal for the new president of San Diego State University, which has 35,000 students and a budget of close to $800 million. "At a time when the state is closing its courts, laying off public school teachers and shutting senior centers, it is not right to be raising the salaries of leaders who--of necessity--must demand sacrifice from everyone else." Despite the opposition from Brown and Lt. Gov. Gavin Newsom the salary was approved by the state university board of trustees. Newsom also nominated Thomas for his $400,000 job. The California Stem Cell Report queried both the Brown's and Newsom's offices via email about how they could oppose the salary for the San Diego State president but not be opposed to the same salary for part-time work (80 percent) at the stem cell agency, which has only about 50 employees and an operational budget of $18 million. "The governor has not endorsed this salary. The (CIRM) board approved the hire, and the board set the salary. These actions were independent of our office. As we've said many times on record, the governor is troubled by high public service salaries - in this case, however, it is in the board's hands." "Just so you are not surprised, I expect to say something along the lines of that it was widely known that Thomas wanted $400,000 for part-time work and that if the governor didn't know that, he should have. I probably will also say something about how the $400,000 salary for the president of San Diego State was also in the hands of a body independent of the governor's office....As to why there was a difference in the reaction from the governor, I will probably suggest that it was a case of juggling a lot of balls and losing sight of one. Plus Thomas was the governor's nominee while the president of San Diego State was not." "This is not an accurate or factual representation of the governor's relationship to the board or this decision. He does not set or influence salaries for the board, as I stated previously. Your hypothesis is just that - a theory." "These institutions have an obligation to live within their means and, when they can't, they shouldn't be asking California's middle class to bear the cost. Unlike the stem cell institute, which the lieutenant governor is proud to have based in San Francisco, our CSU (California State University) has suffered devastating budget cuts offset by record tuition hikes and any salary increases need to be carefully scrutinized in that context." Controversy over compensation is not peculiar to government. Some segments of the public are not pleased by the 35 percent increase in the median pay of CEOs of Standard and Poor 500 companies in 2010. That compares to a 1.6 percent decline in average hourly earnings of U.S. workers over the last 12 months ending in May. It all adds up to a public opinion environment unfavorable to enterprises perceived as greedy i.e. rewarding executives with excessively high salaries. And that translates to a critical and major minus for CIRM's hopes of winning voter approval of another bond measure. As for the governor's inconsistencies, here is a personal footnote from Brown's first term in office. In 1974, shortly after Brown was first elected governor, I was the press aide for the Brown transition team. The tiny group had moved into offices in the old State Capitol, which had been declared an earthquake hazard during a campaign to approve tens of millions of dollars for its reconstruction. A year or so earlier, Brown, then secretary of state, had occupied offices in the Capitol. But when the hazard notice was publicized, he piggybacked on the reconstruction campaign to move out to private offices nearby, declaring that he would not endanger his employees by compelling them to work in an unsafe building. Virtually all of the other occupants of the Capitol remained in their offices. The San Jose Mercury News today said that California is in "no position" to make an additional multibillion dollar bet on the California stem cell agency and its efforts to come up with a new stem cell therapy. "What planet are these guys from? " "Going back for more would make no sense regardless of the economy, but even contemplating it now shows either ignorance or an incredible disregard for the magnitude of California's financial crisis. How could the agency ask for an additional $3 billion when the state is trimming more than $10 billion from essential services? "The stem cell agency has fulfilled its promise to build a research infrastructure that would attract some of the world's greatest scientific minds. But Californians have yet to see any tangible evidence that their investment is producing the cures that were also promised. And even if they had, $3 billion is a substantial investment for one state to make in a worldwide research challenge." "...(T)he research should be far enough along for venture capitalists to see the wisdom of investing." The editorial's starting point was the kerfuffle over the $400,000 salary of CIRM's new chairman, which the newspaper withheld judgment on. What caught our attention is that the newspaper seem surprised by what it called a "real eye-brow raiser" – the proposed bond measure. The prestigious Institute of Medicine is looking for a few good men and women to evaluate whether the $3 billion California stem cell agency is operating at "peak performance" and to determine whether improvements are necessary. While the IOM has not yet put out a public call for nominations, it has asked for some from the agency, which is paying nearly $700,000 for the 17-month study. Adrienne Stith Butler, study director for the CIRM project, said, however, anyone can suggest a person for the panel, including biotech firms, scientists and the public. Fourteen persons are to be named to the study panel this summer. According to an IOM document on the study process, the institute is looking for a range of expertise and a "balance of perspectives." Provisional committee members will be screened for conflicts of interest. The IOM distinguishes between conflicts and points of view. "A point of view or bias is not necessarily a conflict of interest. Committee members are expected to have points of view, and the National Academies attempt to balance these points of view in a way deemed appropriate for the task. Committee members are asked to consider respectfully the viewpoints of other members, to reflect their own views rather than be a representative of any organization, and to base their scientific findings and conclusions on the evidence. Each committee member has the right to issue a dissenting opinion to the report if he or she disagrees with the consensus of the other members." The largest expenditure in the $700,000 IOM study budget is for salaries, $261,516. Other expenditures include program direction, management and space costs, $135,346; general administration costs, $121,482; travel, $103,964, with reports, technology/communication, meeting and other expenses making up the remainder. You could say so much for political power. Trustees of the 19-campus California State University system today defied Gov. Jerry Brown and the lieutenant governor and approved a $400,000 salary for the new president of San Diego State University. Both Brown and Lt. Gov. Gavin Newsom, both of whom are among the trustees, opposed the salary, although both men have remained mum on the $400,000 salary of the new chair of the California stem cell agency, who they nominated in June. Laurel Rosenhall of The Sacramento Bee reported that Newsom noted that the increase came on the same day as undergraduate tuition was boosted $1,000 by trustees. "'To CSU full board, let me be very clear: I will find it extremely difficult to vote to restore CSU funding if SDSU Prez salary is approved,' Lieu wrote." High public salaries made the news again today in California. And again it involves a $400,000 pay package but not at the California stem cell agency. This time it involves San Diego State University. Gov. Jerry Brown says the school, which has 35,000 students and a $794 million operational budget, doesn't need to pay $400,000 for a new, fulltime president. Ironically, Brown and other state officials nominated a man who is being paid $400,000-a-year for part-time (80 percent) work as the new chairman of the California stem cell agency, which has an operational budget of $18 million and a staff of about 50. "I fear your approach to compensation is setting a pattern for public service that we cannot afford." "The assumption is that you cannot find a qualified man or woman to lead the university unless paid twice that of the Chief Justice of the United States. I reject this notion. The point in all this salary hooha is not whether the chairman of CIRM or San Diego State really deserves the salary. It is how it is perceived by large segments of the public, in this case, including the governor. In the case of CIRM, the salary flap is also likely to have an impact on its ability to pass another multibillion dollar state bond measure to continue its existence. We are querying the governor's office about how it squares the San Diego state salary letter with Brown's nomination for CIRM chair. So far, the governor's office has failed to answer other, earlier queries concerning Brown's role in the CIRM chair nomination process. Tom Dresslar, a spokesman for state Treasurer Bill Lockyer, is sharply critical of some of what has appeared on the California Stem Cell Report concerning Lockyer's role in the election of Jonathan Thomas as chairman of the California stem cell agency. Following publication of the "price of defiance" item yesterday, we emailed Dresslar and asked him if the treasurer's office would like to make a comment that would be carried verbatim. Here are Dresslar's remarks. Our response follows. "Crock conspiracy theories from the shadows might serve the interests of folks who want to generate 'public outrage,' but they do zilch to advance California's stem cell enterprise. Unfortunately, the Stem Cell Report has chosen to give voice to the black helicopter set and, in the process, violated fundamental principles of journalism. "On multiple occasions, this blog -- either on its own assertion or though anonymous sources -- has reported that in advocating the selection of Jonathan Thomas as ICOC chairman, State Treasurer Bill Lockyer issued an implicit warning to the board: If you don't kowtow to me, the stem cell institute will have a heckuva time getting bond funding any time soon. Not once did the Report contact this office and seek comment before publishing this bunk. "That's not the way journalism works. You don't throw mud on someone and offer to let them try to clean it off after the fact. You give them the opportunity to defend themselves against the mud-throwing. I understand blogs aren't newspapers. But that doesn't absolve blog writers from the responsibility of adhering to basic tenets of fairness and journalistic integrity. "Lockyer cares deeply about CIRM, its mission and its success. That's why he nominated Thomas. That's why wrote to his appointees on the ICOC in support of Thomas. Both candidates were exceptionally well-qualified. But considering the qualifications set forth in Proposition 71, and the challenges CIRM faces, Lockyer strongly believed Thomas was the best man for the job. And, in contrast to the other candidate, Thomas was prepared to give the job his all, not half his all. That's what CIRM needs and deserves." Here is the response from the California Stem Cell Report. "We respect both Dresslar's professionalism and his frank and forthright opinion. He has been both responsive and accessible to the California Stem Cell Report. "However, this blog is first and foremost an expression of opinion and analysis. The traditional reporting that we engage in is there because the mainstream media simply does not cover one of the more extraordinary experiments in state government, the California stem cell agency. As a matter of opinion and analysis, it is fair to say that in our judgment some of the actions by the state treasurer can be construed to contain an implicit warning that CIRM's funding could be affected negatively. Certainly some of the CIRM board members took it that way. "In retrospect, it would have been preferable to have a comment from the treasurer's office in the original post on June 21. However, it is very unlikely that it would have materially altered what we wrote. Did our accounts amount to 'mud-throwing?" Hardly. Whatever Lockyer and Brown did was within their responsibilities as elected officials. To fail to support vigorously their nominee for CIRM chair would be more reprehensible in the eyes of many. "Finally, one of the operating principles of this blog is to allow and encourage those with differing views extraordinary access to this web site. We have a standing offer to leaders of the California stem cell agency, including all its directors, and others to write on California stem cell matters with the promise that their words will be carried verbatim. That is an offer you will not find from the mainstream media or its opinion writers. We have done that as the result of more than three decades in the news business and two years as a press aide to the governor of California. From that experience, we learned that short shrift is often given to many voices in the public arena. The California Stem Cell Report can provide much greater access. And we would like to encourage its full utilization." Jim Fossett filed a comment on the "Salary Hooha" item that deserves more attention. "The coverage of CIRM salaries is a cheap shot calculated, and quite successfully so, to incite public outrage without providing any context or consideration of what other people doing similar kinds of jobs get. None of this context appeared in any of the original coverage and it should have." Fossett makes a good point about the need for context by the mainstream media in reporting public salaries. We differ with him about inciting public outrage. There is no need to incite public outrage about public salaries. It has existed in abundance for years, for good and bad reasons. It is not likely to vanish, no matter how much context and comparison is provided. CIRM is not alone in being targeted in the media in the past week or so. A proposal to pay the president of San Diego State University $400,000 and a press release on state salaries statewide also triggered hostile public commentary. For the record, here is a list from The Sacramento Bee of the top five public salaries in California in 2009, all of which seem dubious to the California Stem Cell Report, particularly the coaches' salaries. However, that's because we believe the UC system has no business in bigtime intercollegiate athletics – that despite enjoying many football and basketball games while at UCLA. But that is a topic for another web site. The California stem cell agency last month had a bit of instruction in politics when directors chose a new chairman. Both California Gov. Jerry Brown and state Treasurer Bill Lockyer made an extra effort – beyond their nominating letters – to assure the election of their man, Jonathan Thomas, a Los Angeles bond financier, as chairman. We noted a few days ago that such episodes are not uncommon when an enterprise is reliant on public funding. Implicit in some of the lobbying by Brown and Lockyer was the likelihood that failure to follow their lead could endanger bond funding for CIRM. Some might think that possibility was remote, that Tamany Hall tactics are just a part of the past. Those who favor that view might want to consider the case of Democratic Assemblyman Anthony Portantino. He voted no on the recently passed state budget in defiance of legislative leaders in his own party. Now he is being punished. His staff is being sent home for a month of unpaid leave, and he is being threatened with a cutoff of both his mail service and office supplies, according to The Sacramento Bee. Such are examples are not uncommon in California politics in one form or another. On June 23, Robert Klein, then chairman of the California stem cell agency, said that the new chairman of the enterprise would be paid $390,000 to $395,000. However, the agency says the correct figure is $400,008. Hooha over CIRM Salaries: Cheap Shot or Legitimate News? High government salaries are a tender, tender subject. But are they legitimate news? An anonymous reader on Wednesday raised the question in a comment on the "public salary outrage" item on the California Stem Cell Report. The article dealt with a news story about the $400,000, part-time salary for new CIRM Chairman Jonathan Thomas. "Media coverage like this has to be counted as something of a cheap shot." The reader went on to say that the salary is not out of line with what medical school deans and top level researchers are paid. The reader's remarks are somewhat ambiguous. It is not clear whether he or she is focusing on the Los Angeles Times story, the California Stem Cell Report's items on the subject or the public reaction based on comments on the Los Angeles Times' web site. Let's assume that the main focus is the original Times story, which portrays Thomas' salary as excessive, comparing it unfavorably it to the much lower pay of the governor and the head of the NIH. The public reaction on the subject flows from that article by reporter Jack Dolan. A case can be made that Thomas and CIRM President Alan Trounson ($490,000 annual salary) are paid at roughly the same level as a University of California medical school dean. Sam Hawgood, dean of the UC San Francisco medical school and a member of the CIRM board, for example was paid $572,896 in 2009, according to a Sacramento Bee database. However, CIRM's Thomas and Trounson preside over a staff of about 50 with a budget of about $18 million. Contrast that to Hawgood's staff of about 10,000 employees and budget of $1.52 billion. However, those sorts of facts are somewhat beside the point when it comes to the news value of high state salaries. What makes them news is how they affect the public debate about government spending, perceived bureaucratic waste and ultimately the future of CIRM. Substantial segments of the California public exhibit an intense, visceral and hostile reaction to what they view as excessively generous compensation. In this case, it is a public that may well be asked to vote to give more billions to the stem cell effort in a few years. That's a reality, however unpleasant, that CIRM must deal with. How the agency handles the issue is news as well. If CIRM cannot reframe the discussion, the entire campaign for the bond ballot measure may well center on CIRM salaries. The result could be "extinction" of CIRM, as the Los Angeles Times said Thursday in an editorial. "What is important here is what the voters perceive as lavish or greedy – not the perceptions of recipients or the perceptions of those who approve the pay." Last spring, the entire CIRM board of directors indirectly acknowledged the public relations problem with the salaries when it approved a dubious scheme to paper over them by channeling $250,000 in funds from private donors to Thomas' paycheck. If the salary is a mistake, the second mistake is trying to hornswoggle taxpayers into believing that they are not paying for it when all the funds come from public coffers. "It's not a cheap shot to report what salaries taxpayers are paying their public servants. It's simply basic watchdog journalism. If this sort of reporting had happened in the mainstream media before the vote, perhaps the outcome would have been far different." "Perhaps the (medical school) deans on the (CIRM) board weren't troubled by the eye-popping salary because they make so much themselves. They need to think like the average person when evaluating salaries. It's clear that a well-qualified candidate was available at a fraction of the cost." CIRM's grant management system, which remains a work-in-progress, and needs close attention by directors, particularly with an eye to protecting IP and proprietary information from unprincipled biotech companies and hackers. Simpson's complete remarks can be found here. The anonymous reader's comments about "cheap shots" can be found at the end of "outrage" item. Here is an updated reading list on CIRM salaries. More information can be found by searching on the Internet used the terms "cirm salaries" or "california stem cell salaries." Here is a statement by John M. Simpson, stem cell project director for Consumer Watchdog of Santa Monica, Ca., concerning questions about news coverage of the $400,000 salary of the chairman of the California stem cell agency. Prior to joining Consumer Watchdog, Simpson had a long career as a newspaper editor. His statement came in response to an anonymous comment on the "salary outrage" item on the California Stem Cell Report. The comment can be found at the end of that item. What follows here is Simpson's statement. "It's not a cheap shot to report what salaries taxpayers are paying their public servants. It's simply basic watchdog journalism. If this sort of reporting had happened in the mainstream media before the vote, perhaps the outcome would have been far different. "The comparison to medical school deans' salaries is inappropriate. CIRM is a 50-person state agency dedicated to funding research. It does what NIH does, except on a much smaller scale. Being the dean of a medical school is far more complex and demanding than being the Chair of CIRM, a part-time job, that should be an oversight function. "Perhaps the deans on the board weren't troubled by the eye-popping salary because they make so much themselves. They need to think like the average person when evaluating salaries. It's clear that a well-qualified candidate was available at a fraction of the cost. "So what if the NIH director took a cut in salary when he assumed that position? That's what the idea of public service is all about. The salary should be reasonable, but one ought not to be able to feather the nest on the taxpayer's dime. No mater how you spin it, $400,000 for a four-day-a-week job is too much money. "There are questions that need to be answered. When does Jonathan Thomas vest in the state's pension fund? What will his benefit be?" The Los Angeles Times said this morning that it suspects that the election of Jonathan Thomas as chairman of the $3 billion California stem cell agency "will go a long way toward assuring the institute's extinction." "It always annoys voters to discover that government workers make more than they do, but what especially rankles about Thomas' big paycheck is that his hiring comes at a time when most state agencies are making radical cutbacks and when the institute itself is considering a ballot measure to ask voters for billions in new funding." The editorial is the latest in several negative pieces in the mainstream media about the choice of Thomas, a Los Angeles bond financier, to become chairman. The articles focus primarily on Thomas' $400,000, part-time (80 percent) salary. "The new head of California's stem cell research agency, which has a staff of 50, not only makes more money than the governor, he makes twice as much as the chief of the National Institutes of Health, which has 17,000 employees. Does that make him overpaid? Not necessarily. But it does make the board that hired him remarkably tin-eared about politics." The editorial did note that "it's possible" that Thomas "could earn his big bucks," given his background in finance, if CIRM is forced to try to sell state bonds privately. The selection of Thomas also drew attention this week in the San Francisco Bay Area in a commentary by San Francisco Chronicle columnist Phil Matier in a report on KCBS television station. The station picked up the LA Times news story on Thomas' salary, adding that it was one of the highest in state government. Matier said during the news story that it was all part of the "birth of a bureaucracy." He said voters shouldn't expect a stem cell breakthrough for another 10 years. He also called CIRM the "high speed rail of medicine." For non-Californians, that is a reference to another multibillion dollar California bond program that is staggering under heavy public criticism. "These people live in a different world of 'entitlement' (there’s another word) and 'luxury.' This is just another reason for the people of California to turn off the borrowing money spigot in 2014." Prior to the LA Times salary story, Pete Shanks of the Center for Genetics and Society of Berkeley, Ca., on June 29 wrapped up the election of Thomas on its Biopolitical Times blog, quoting John M. Simpson of Consumer Watchdog of Santa Monica, Ca. Simpson said that the selection of Thomas is "a public relations disaster from which the stem cell agency will never recover." Reader Jim Fossett today raised a good point in connection with the use of donated funds by the California stem cell agency, some of which is going to pay the new chairman's salary. Fossett said in a comment that donors may place restrictions on the use of their donations, which do not amount to a great deal of money relative to CIRM's $3 billion. (Fossett's full comment can be found at the end of the "private money" item.) The agency currently has about $2.8 million in donor funds on hand, but has committed $700,000 of that for an Institute of Medicine study of CIRM and $250,000 annually for the chairman's salary. We asked CIRM's outside counsel, James Harrison, whether any donors had placed restrictions on the funds. "Some of the donors placed restrictions on the use of their funds. For example, donations from private foundations include a restriction on the use of funds for lobbying purposes. I don't recall any other restrictions." The reason for the restriction on lobbying expenditures? Some nonprofits can endanger their nonprofit status if they engage in lobbying activities. "CIRM has received close to $900 million in private donations above and beyond the money from private-bond proceeds." "He(Thomas) was referring to the $880 million in donor and other leveraged funds that our 12 major facilities attracted. So, those were not donations to CIRM, rather donations to CIRM-backed projects that benefitted the state." Seven years ago, backers of the ballot initiative that created the $3 billion California stem cell agency promised that it would take the politics out of stem cell research. But, as the directors of the research enterprise discovered last month, that is far from the case. California Gov. Jerry Brown and state Treasurer Bill Lockyer exercised their governmental perogatives and lobbied persuasively on behalf of their nominee, Jonathan Thomas, to chair the board for the next six years. Some of the 29 board members looked askance at what they regarded as arm-twisting. They noted that the formal name of the CIRM governing board is the Independent Citizens Oversight Committee and placed the emphasis on the word "independent." But, like other parts of Prop. 71, the name is more of a political marketing gimmick aimed at voters in 2004 than a reflection of reality. The fact is that when you have your snout in the public trough, you are always subject to political pressures. That is the nature of government in the United States. Nonetheless, we should add that former CIRM Chairman Robert Klein, a real estate investment banker, and a handful of his associates who drafted Prop. 71, have been successful in isolating the stem cell agency from other political maneuvers – well-intentioned or otherwise. Under the initiative, the governor and state lawmakers cannot get their hands on CIRM funds or fiddle with its budget. Another provision of Prop. 71 mandates that even the tiniest changes in the law dealing with CIRM require the same kind of supermajority vote that has crippled California's state budget process. Some of Prop. 71's provisions cannot even be changed short of another vote of the people. All of which has a downside. Under the ballot measure, CIRM dodged conventional state budgetary funding. Instead it required funding through state bonds – borrowed money that flows directly to the agency. But with interest, that means that a $20 million research grant really costs California taxpayers roughly $40 million. And the $490,000 salary of CIRM President Alan Trounson really costs nearly $1 million. While some CIRM directors took umbrage at the lobbying by Brown and Lockyer, one should expect no less from public officials who have a keen sense of both their power and responsibilities. They are elected because voters generally trust their judgment – at least at the time of the election – and expect them to exercise their authority. Indeed, do-nothing lawmakers are one of the reasons the public is less than enchanted with affairs under the Capitol dome. As for the next six years, directors of the stem cell agency will be increasingly immersed in political and electoral matters if they want to extend the life of CIRM beyond 2017 or so, when bond funds will run out. By electing Thomas, CIRM directors clearly indicated their priorities are cash. They are concerned with both short and long term financing of the agency. "Without money, there will be no research," one director told the California Stem Cell Report. Thomas has made a career in bond financing. His scientific background was minimal when compared to rival candidate Frank Litvack, a cardiologist and medical science enterpreneuer. Thomas is talking about raising money privately, but the main source of funds will be billions more in state bonds. That will require voter approval, and right now that is extremely unlikely given the state's financial crisis and CIRM's limited accomplishments, which have little public visibility. To persuade voters in 2014 or 2016, the agency will need results that will resonate with the public, creating a virtual rush to provide more billions to CIRM. One of Thomas' major initiatives is do just that, through both aggressive funding of research more likely to produce a clinical therapy and better marketing of the agency to the public. A "communications war" is how he describes it. The agency is now seeking a $200,000-a-year public relations field marshal to direct it. CIRM will be dancing close to the edge in terms of appropriate use of public funds. Electoral campaigning on the taxpayer's dollar is generally not acceptable and can even be illegal. At the same time, the agency has a responsibility to inform the public about its activities. Should the agency slip over the edge, it could generate a scandal that could doom a new bond measure. CIRM must also move so that a bond measure will be supported by the governor, treasurer, controller and lieutenant governor, the very same Democratic political officials who nominate candidates for chairman and appoint many of the CIRM board members. The preferred position would be one of support although neutral would be tolerable. Outright opposition by the governor, which is conceivable given the state's financial condition, is likely to be fatal for a bond measure. Then there is the matter of raising anywhere from $30 to $40 million or more to actually finance the ballot campaign. Who will be the major donors? Will they represent or have ties to current applicants or future applicants for CIRM's billions? Another touchy issue. Thomas is short on political experience, but standing by is CIRM's Co-vice Chairman Art Torres, former head of the state Democratic Party. In the wings as CIRM's chairman emeritus is Robert Klein, who headed the 2004 campaign for Prop. 71, although his role is likely to be circumscribed at the agency if Thomas is to be truly effective. "Rathole," "Alice in Wonderland," "shut the whole thing down," "they just lost my vote" – some of the reaction to the Los Angeles Times story this morning about the California stem cell agency. By 3:10 p.m., 142 Times readers had commented – mostly angrily – about CIRM and its salaries, particularly the $400,000 pay for Chairman Jonathan Thomas for a four-day work week. The article by Jack Dolan was among the top five most emailed stories on the LA Times web site. The article was promoted on the front page of the print edition of the Times. By mid-afternoon today, the story was "recommended" 142 times on Facebook and "tweeted" 58 times, drawing even more unpleasant attention to CIRM. Obviously, the negative comments are coming from the people who feel the most strongly about the subject and do not necessarily represent a complete view of the sentiments of all readers. And the number of comments is not huge. But they do illustrate the serious PR problem facing CIRM as it ponders whether it should go to the ballot in the next few years and ask voters for another $3 billion to $5 billion. One can only imagine what the opposition will do when it wraps some of these comments into a TV ad against such a bond measure. Not all of the comments amounted to simple anti-government venom, however. "Okay let's pretend an agency chairman's main job is fund raising and not running the agency, not evaluating the research, and not recruiting the best researchers. Shouldn't we give him a small salary plus commission? Wouldn't that focus him more on successful fundraising?" "The Bush-era stem-cell-research restrictions are gone. If the scientists are good enough, they will be able to compete successfully for grants from the National Institutes of Health (your federal tax dollars hard at work). If they are really good, and really lucky, they will be able to get funding from the Howard Hughes Medical Institute. There is no longer a reason for this separate California stem cell agency to exist. It's a boondoggle. But like so many government programs, it has taken on a life of its own, and it will consume vast amounts of wealth fighting for its own survival. It's time to shut them down. " The story received front page attention in the print edition of the Times, a rare occurrence for a story about the stem cell agency. The paper carried the following tease on page one to the article. We should note that the tease may be all that many readers actually read. "It will pay its new part-time chairman $400,000, pushing the combined annual income of its two top officials to nearly $1 million." Until today, the Los Angeles Times, California's largest circulation newspaper, has remained silent on the election 11 days ago of bond financier Jonathan Thomas as the new chairman of the California stem cell agency. The Times' first story on Thomas' election, however, was not the sort of good news that Thomas has made one of his top priorities in his new post at the $3 billion enterprise. The piece by reporter Jack Dolan focused on Thomas' $400,000 salary for part-time work (80 percent) as well as other salaries at the agency. And they were not placed in a favorable context. "California's stem-cell research agency says it needs billions more taxpayer dollars to deliver on promised cures to major diseases. Yet at a time when other departments are cutting back spending, the agency recently agreed to pay its new boss one of the highest salaries in state government. "The 50-person grant-making body will pay a Los Angeles investment banker $400,000 to serve as its new part-time board chairman, pushing the combined salaries of its two top officials to nearly $1 million per year. "Santa Monica-based Saybrook Capital founder Jonathan Thomas - chosen over a former cardiologist who was willing to take the job for less than half the salary - said his pay is 'reasonable' because he has the background to help the agency raise the money it needs to survive. 'Without funding, everything else suffers,' Thomas said." Dolan's story noted that Thomas' well-qualified rival for the chairman's job, Los Angeles cardiologist Frank Litvack, would have served for $123,000 a year. Dolan quoted John M. Simpson of Consumer Watchdog of Santa Monica, Ca., as saying that the decision on Thomas was "tone-deaf" in a state mired in a financial crisis. Simpson said it will come back to haunt the agency. The last two paragraphs of the Times story said that Thomas told CIRM directors last month that "they were in a 'communications war' in which 'the world seems to be focused on internal issues instead of the grand big picture' of the institute's mission to cure disease. The new chairman of the California stem cell agency, Jonathan Thomas, is talking about raising vast sums of money from the private sector to support CIRM's research efforts – enough to significantly reduce the size of another state bond measure that could run as high as $5 billion. The proposal may be necessary at a time when state government is slashing services for the poor, elderly and children, but it raises a number of major ethical questions. Coincidentally, the Los Angeles Times last week addressed some of those questions, albeit in a different area of government. "I think that the agency could put together a non-profit fund into which would go donations from individuals of high net worth or medical foundations. If it is very successful you might reduce the amount of general-obligation bond authorization that you would go for in 2014 or 2016." "Last Sunday(June 26), The Times reported that Gov. Jerry Brown has been taking thousands of dollars each month from donors to pay the rent on his Sacramento loft, while refusing his official state housing stipend. "In the same day's paper, it was reported that as part of a "public-private partnership," corporations and foundations would pay several million dollars toward the successful Summer Night Lights anti-gang program in L.A. parks this year. And a few weeks earlier, the paper noted that the Los Angeles Unified School District was taking money from developer Eli Broad, entrepreneur Casey Wasserman and the Bill & Melinda Gates Foundation to pay the salaries of about 20 top officials in the school bureaucracy. "In each of these cases, government officials are accepting private dollars to cover the kind of costs that used to be borne by the taxpayers. And why shouldn't they? Times are tough and money is scarce. The state and city are cutting billions of dollars' worth of vital services, and struggling Californians seem strongly disinclined to tax themselves further to pay for the common good. "So if a generous, civic-minded citizen like Broad, or a rich corporation like Wal-Mart or AT&T, offers to step forward to fill some of the gaps, it would be foolish to say no, right? "Unfortunately, it's not always that simple." The Times noted that donors may be seeking to curry favor with the governmental recipients. They may seek contracts or simply priority access to important governmental agencies or officials. Their donations could skew the actions on the part of the recipients. The Times did not say private donations should be barred but came up with a "few basic rules" to help address what may be a burgeoning trend in California government. The proposed "rules" represent something for the CIRM board to consider as it moves ahead on financing issues. Here are the rules in abbreviated form. "Private donors should be required to disclose whether they have any direct interest in pending legislation or are seeking government contracts or other assistance. Transparency is essential so the public can make judgments about potential conflicts of interest." "If private money is accepted, it should be used to advance the goals of the government, not the giver." "Private money shouldn't pay the personal expenses of public officials or enrich them in any way." "All in all, the system works best when government pays for government. Not only is it ethically complicated to rely on private dollars, but even Bill Gates and Eli Broad don't have enough money to fund California for very long. The state's voters have to acknowledge eventually that if they still want to live in a first-class state with the kind of services they've long been used to — great and affordable state universities, safe streets, magnificent parks, public schools that rival any in the nation, and a safety net for those who fall on hard times — they're going to have to pay for those things. For too long, Californians have been encouraged by politicians to believe that they can have all the services they want without the responsibility of paying for them. That myth has been shattered. And there aren't enough white-knight billionaires to make up the difference." Jonathan Thomas, the newly elected chairman of the $3 billion California stem cell agency, plans to continue his financial ties to a Southern California bond investment firm. Thomas, who is being paid $400,000 annually by CIRM for four days of work each week, said no conflict of interest exists in his relationship with Saybrook Capital of Santa Monica, Ca. Thomas co-founded the firm and is currently a partner. "I checked with Board counsel again on the Saybrook issue. My relationship with Saybrook does not create a real or perceived conflict for me as Chair of CIRM's Governing Board. Saybrook is not involved in the issuance or underwriting of State General Obligation bonds. Indeed, Saybrook stopped underwriting muni bonds altogether over 10 years ago when it raised its first distressed muni fund. That fund and the subsequent funds in the series are focused principally on distressed corporate-backed or project-backed municipal bonds. Furthermore, even if we were still in the underwriting business (which we're not and will not be in the future), the State Treasurer, not CIRM, decides who the State will work with to issue bonds on behalf of CIRM and other state agencies. In light of these facts, I do not believe there is a perceived conflict, much less a real one. I will, of course, work with CIRM's counsel to ensure that I comply with the letter and spirit of California's conflict of interest laws."